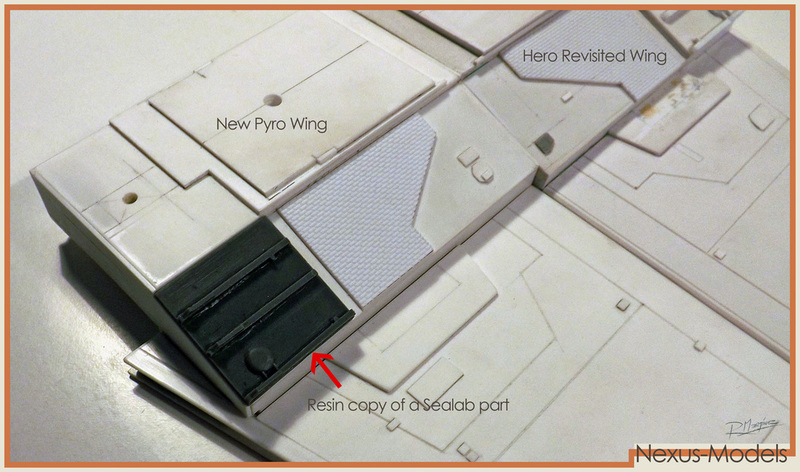 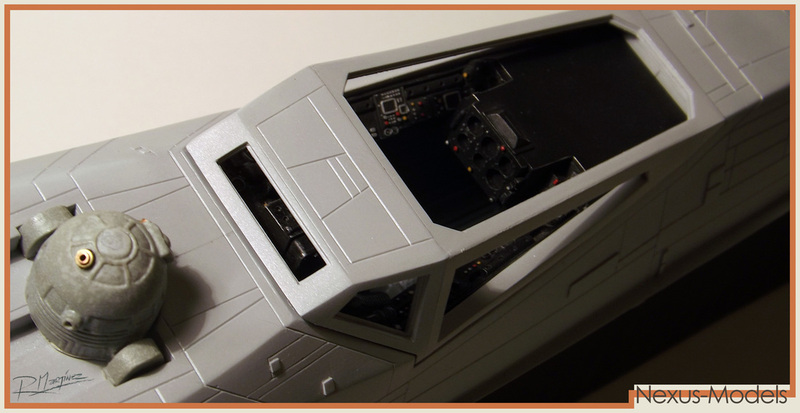 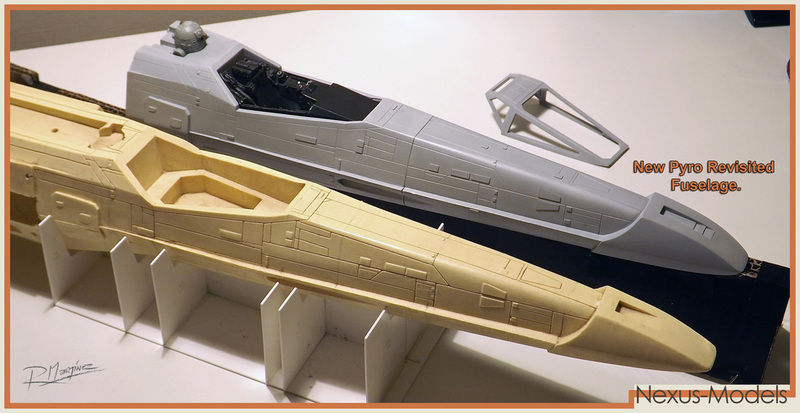 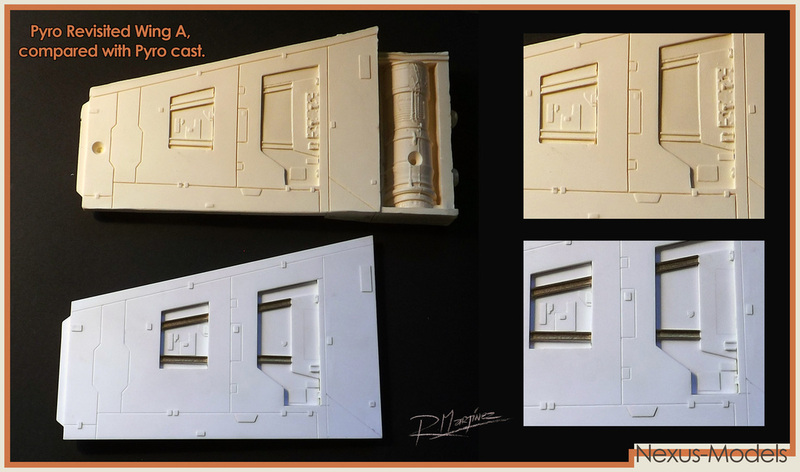 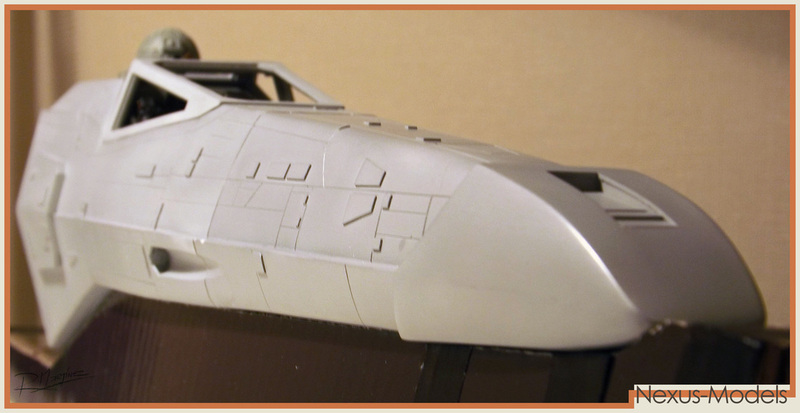 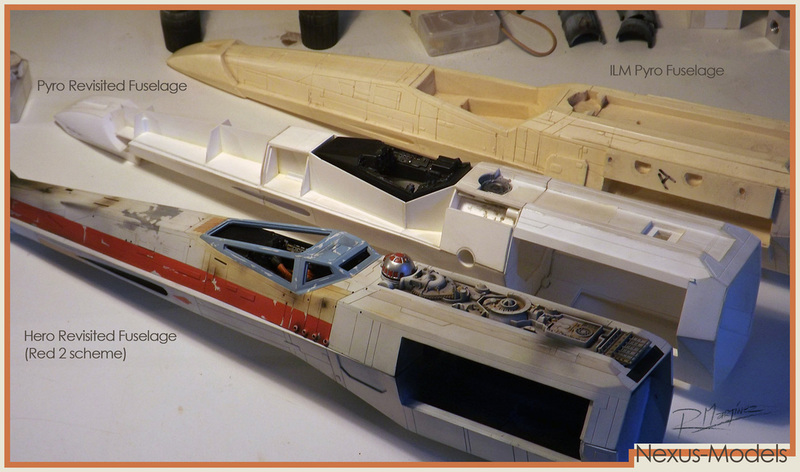 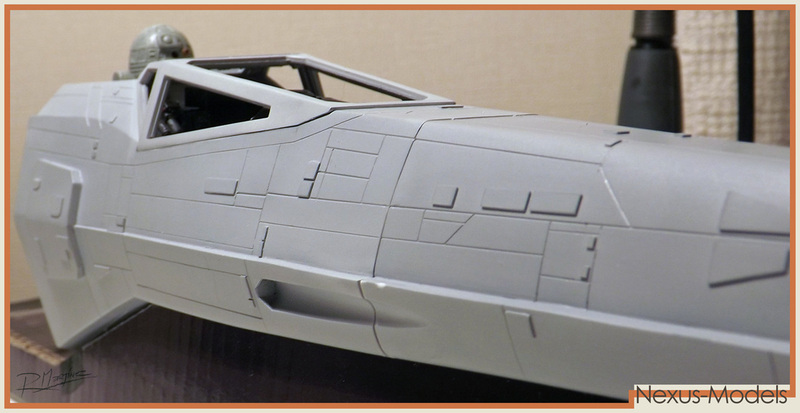 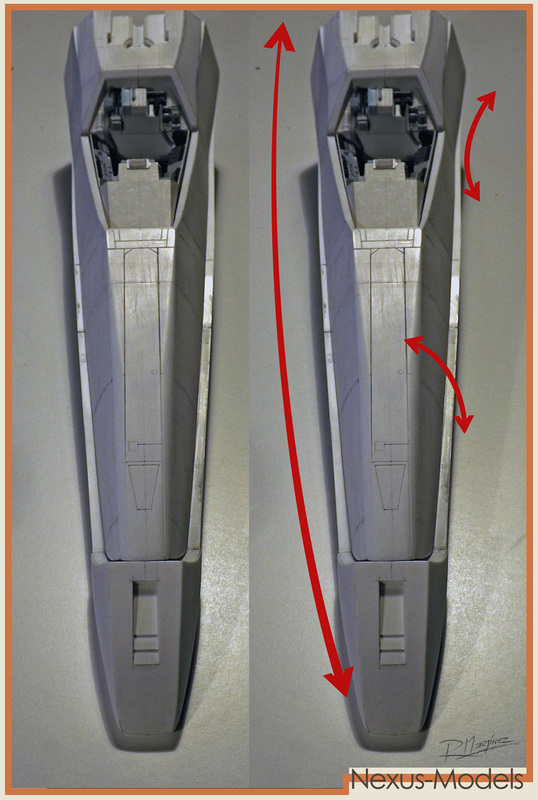 The yellow resin fuselage in the picture, is a 3rd generation cast of an original ILM Pyro X-Wing model. 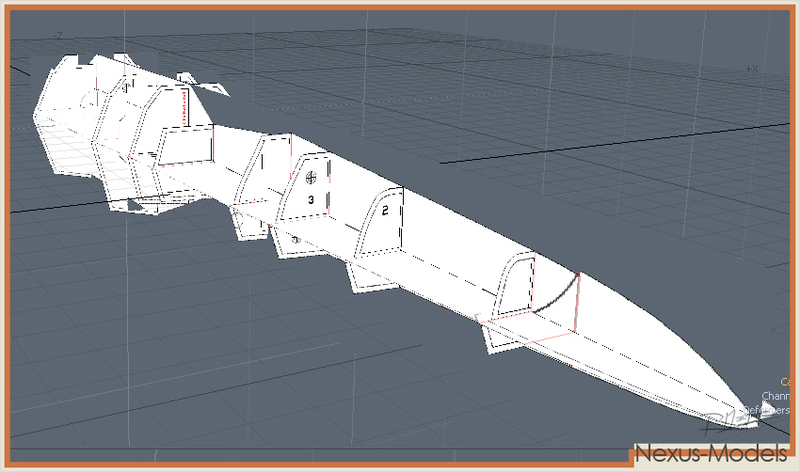 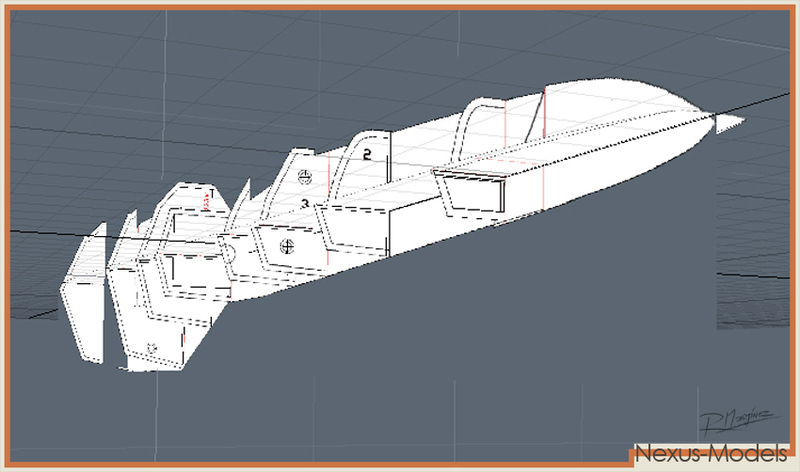 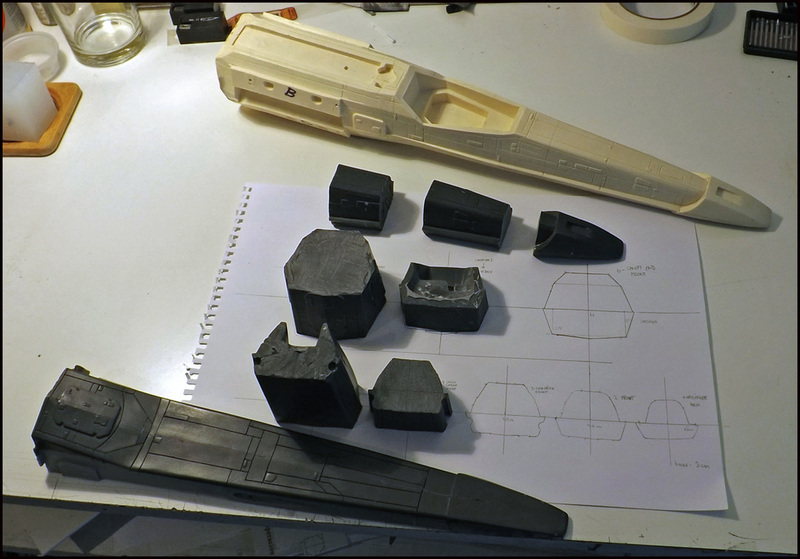 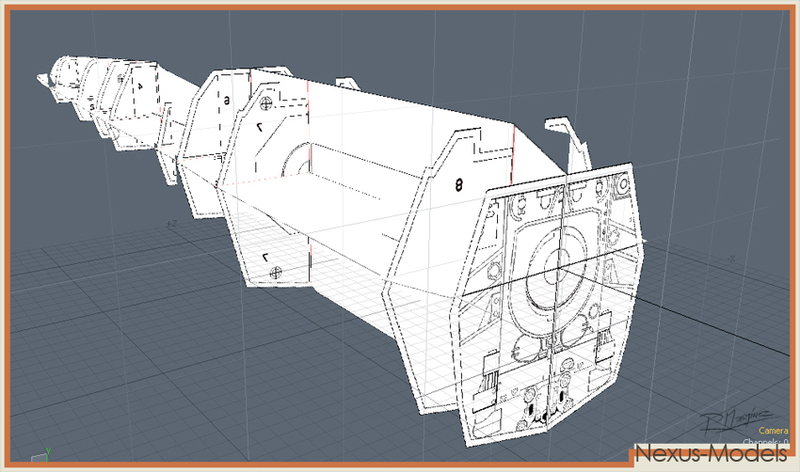 I started working on blueprints for a Pyro fuselage build, by first making molds of it and then slicing vertically a copy of the fuselage (dark grey resin) to get drawings of the ribs. 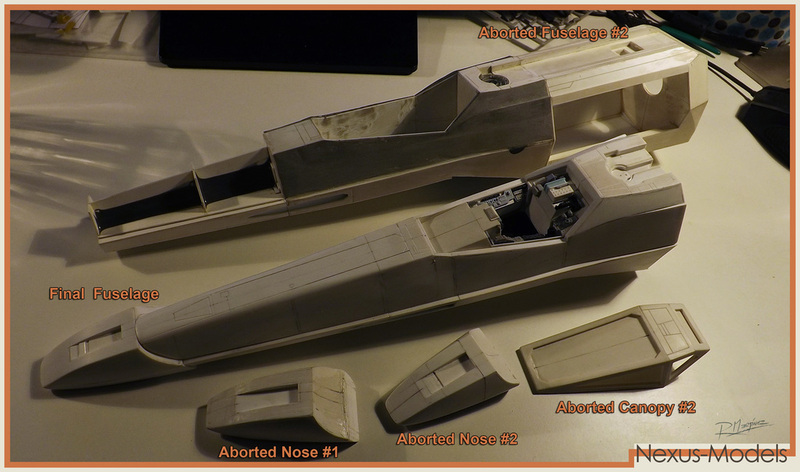 I sliced again a second resin cast of this fuselage, but now horizontally, in order to get a precise drawing of length of the shape. 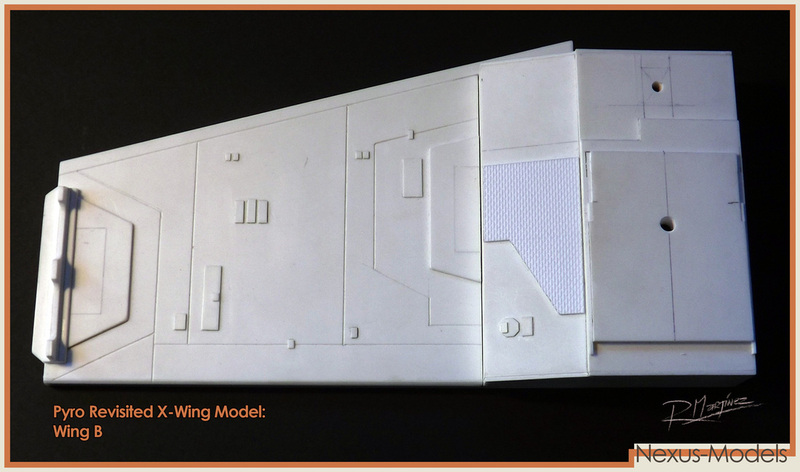 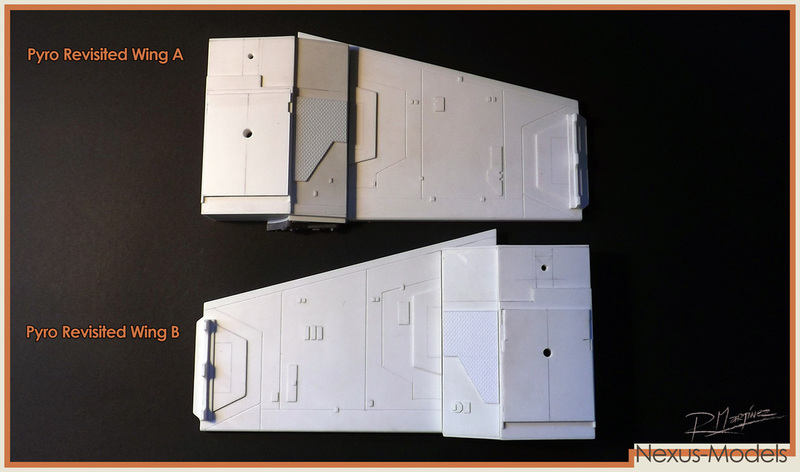 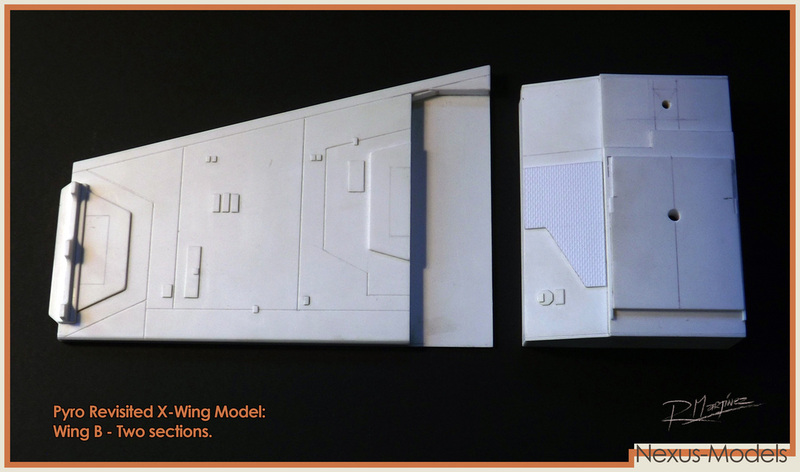 Whit this data, plus photographic reference material of the original ILM Pyro filming models, I started the huge project of building my second, very different X-Wing fuselage. 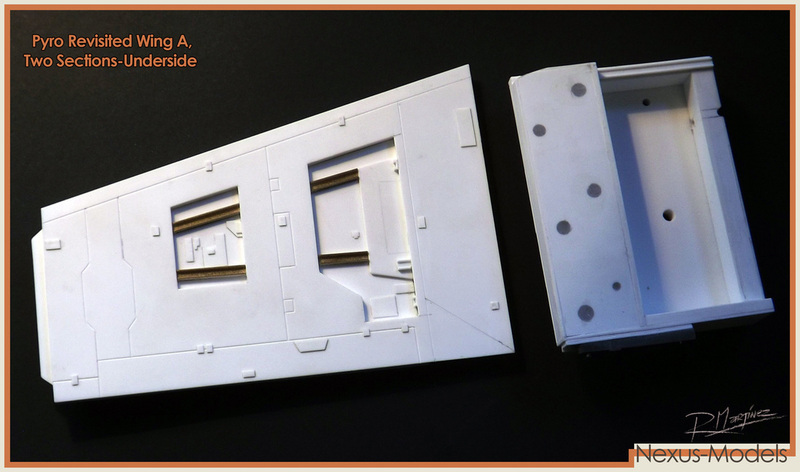 This time the challenge is even bigger for the fuselage has to be designed to receive all the hardware needed for motorized wings and remote control. 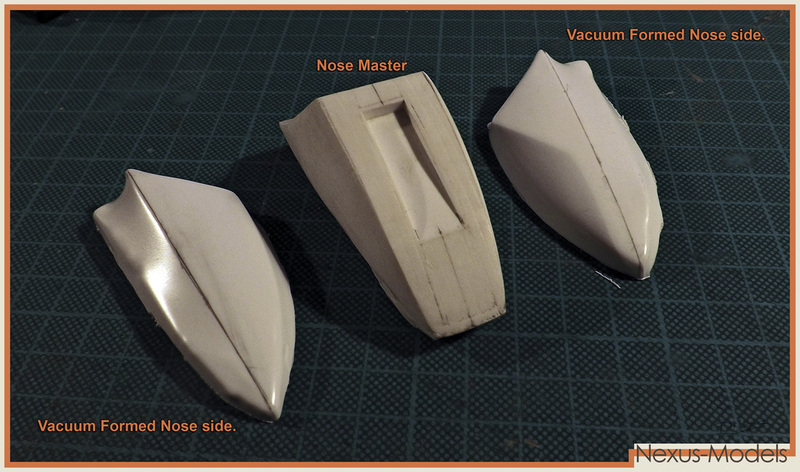 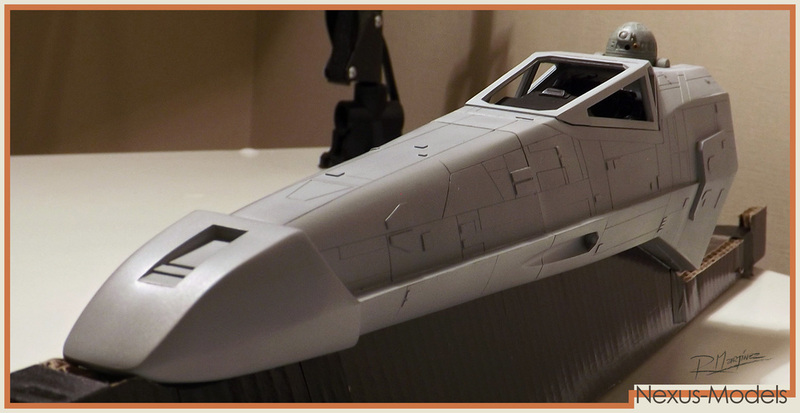 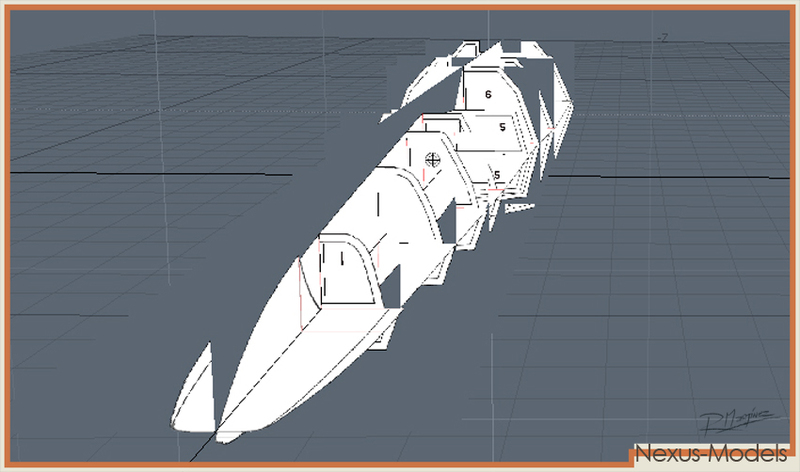 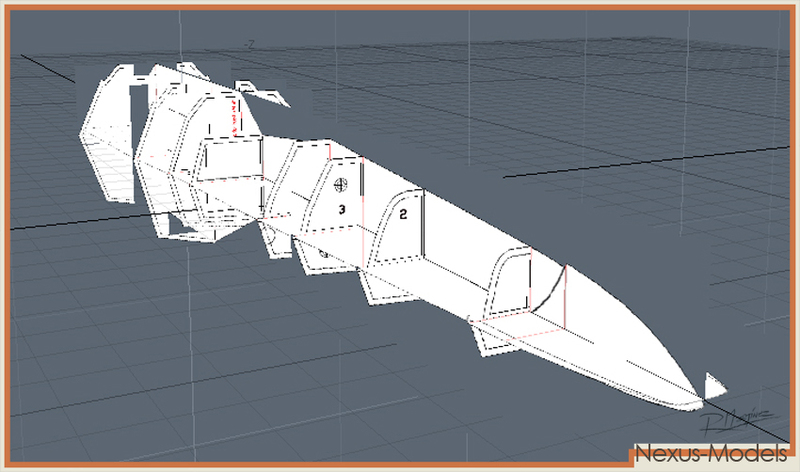 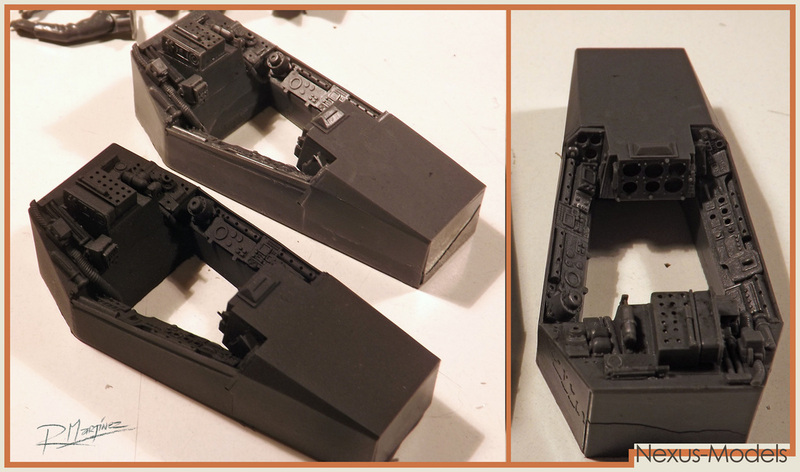 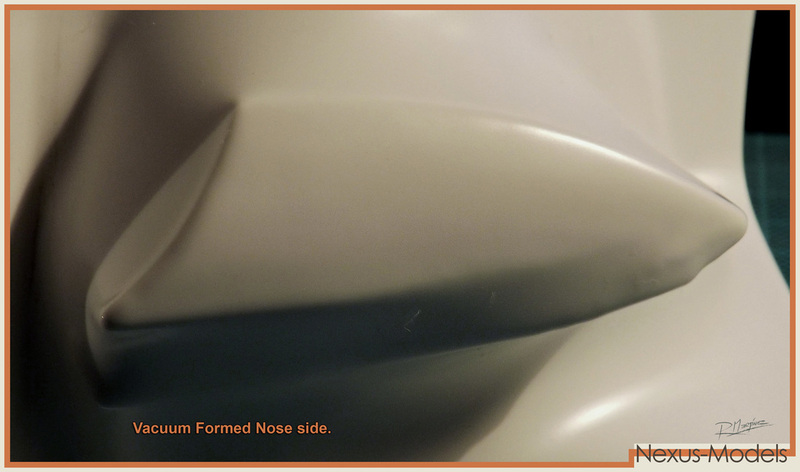 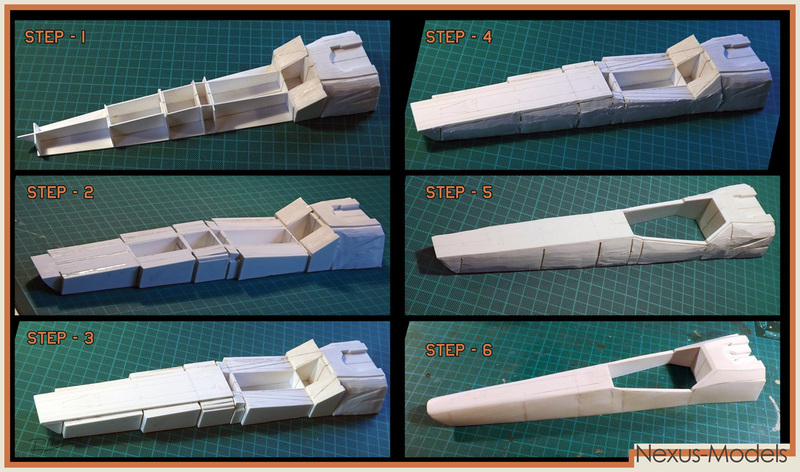 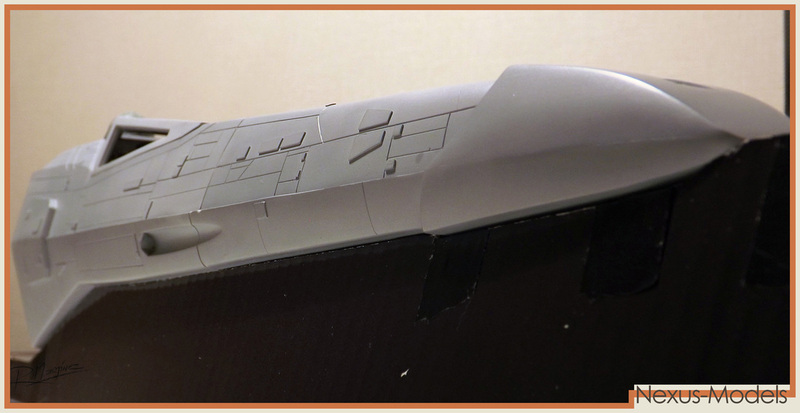 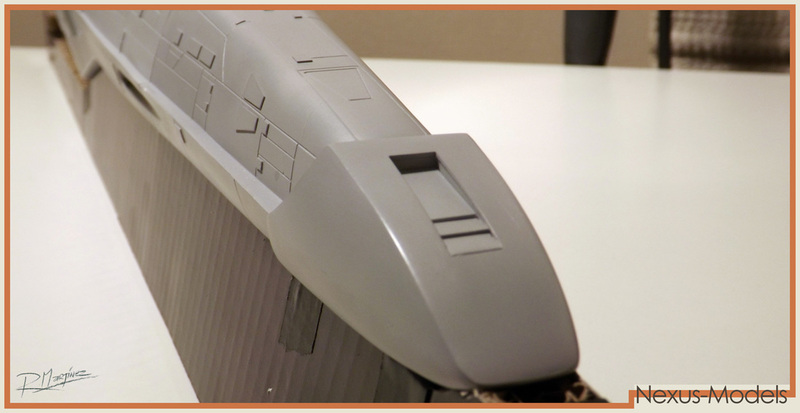 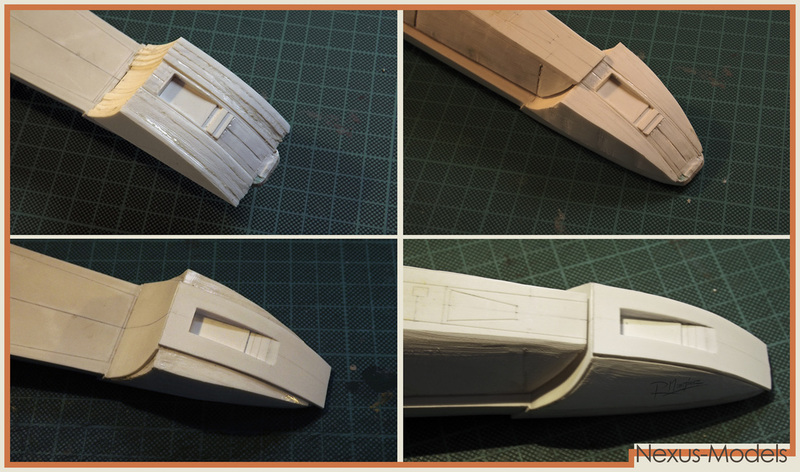 The Pyro Fuselage is completed now, and I am working in the molding process. 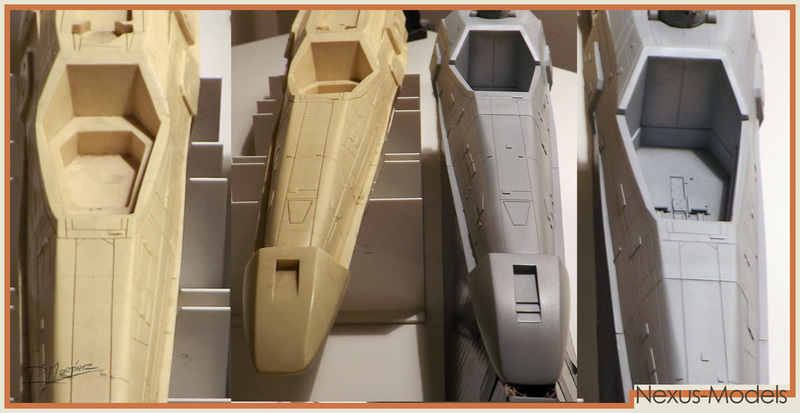 I need to take new pics of the completed fuselage, here are some of the latest pictures I took, more will be coming soon. 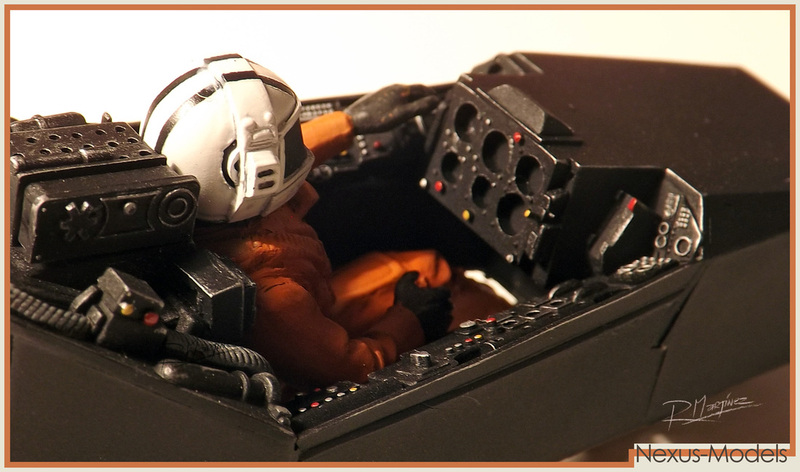 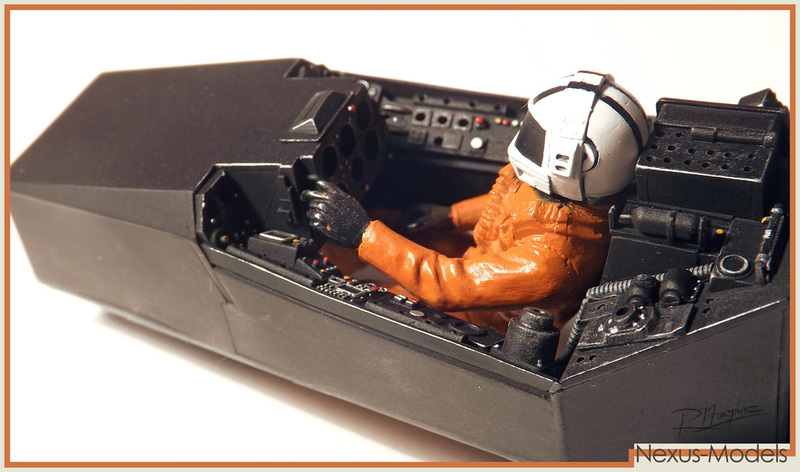 ILM Style Pilot & Cockpit. 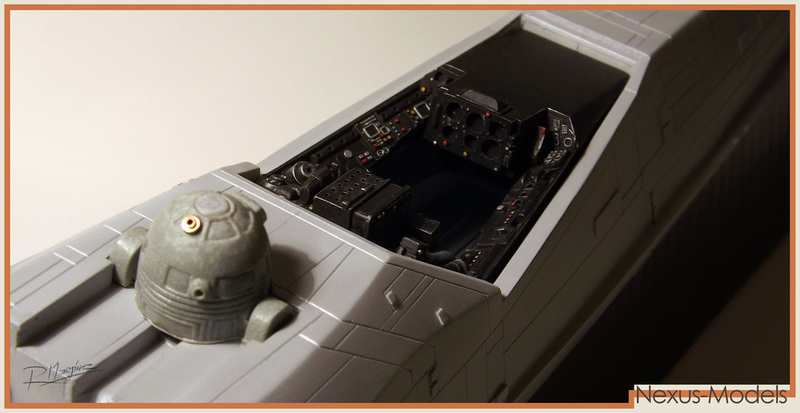 The ILM Original filming models had pilots and control panels that were very different from the pilot outfit and life size controls seen on the movie. 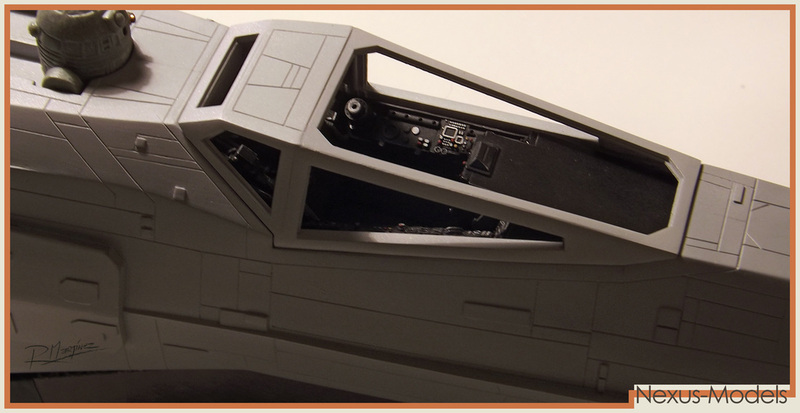 The revisited version of the X-Wing had control panels that intended to imitate the life size constructions built by the ILM crew where the actors sat on. 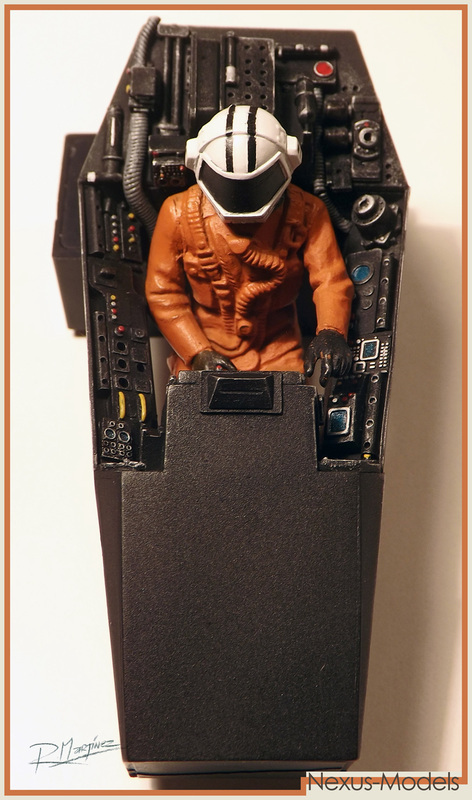 The same I did with the pilot. 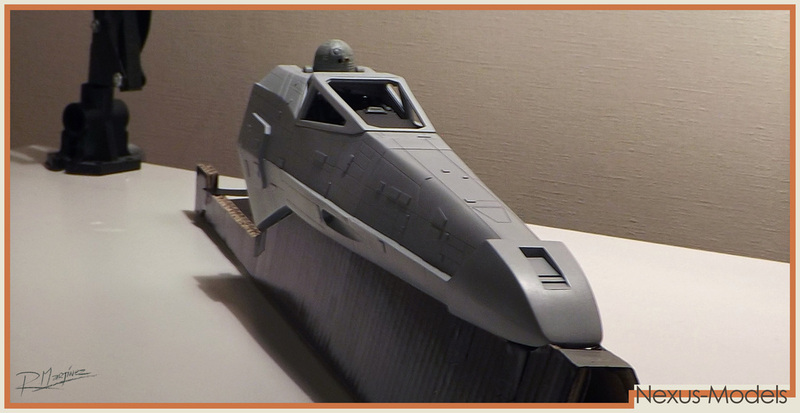 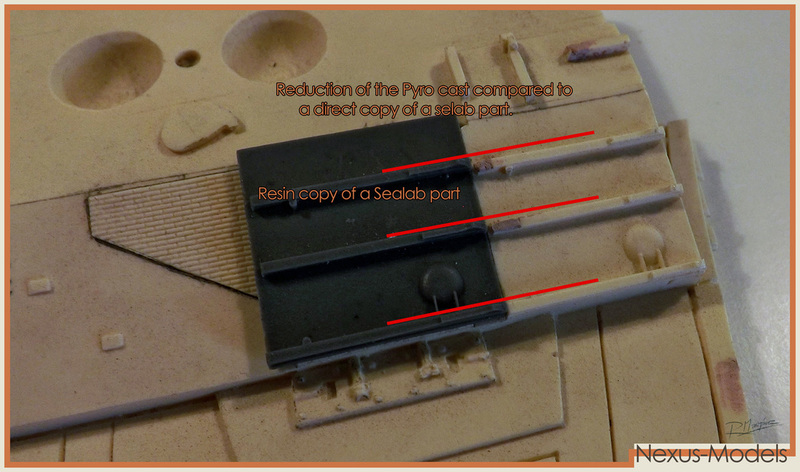 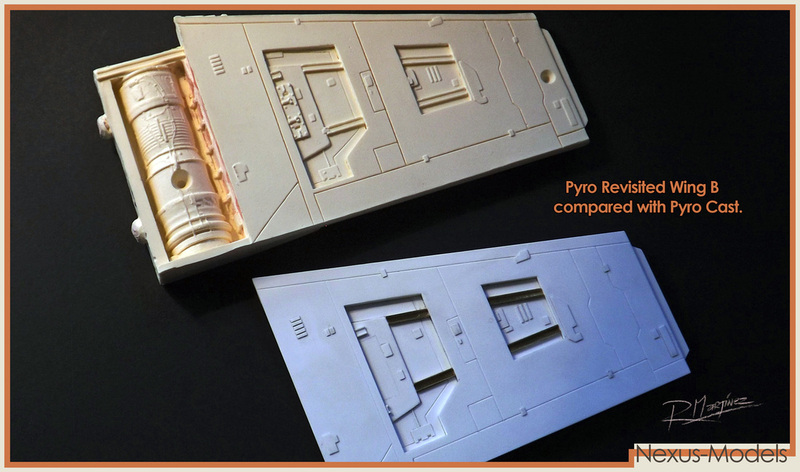 But for the pyro version I wanted to build one as similar as possible to the original 1977 filming model. 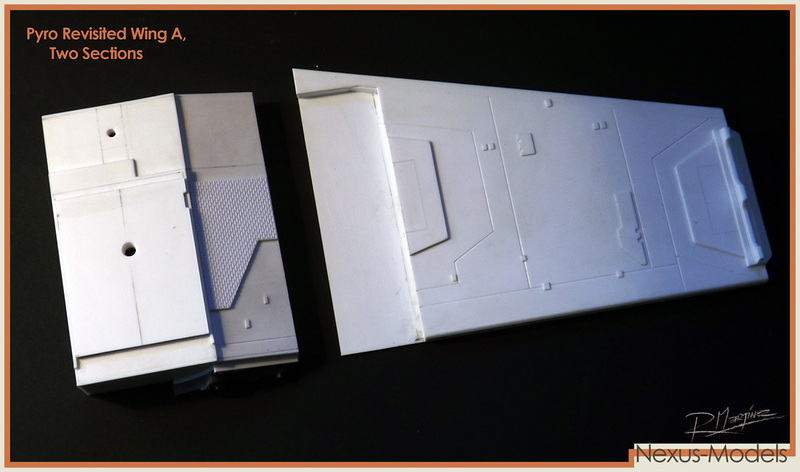 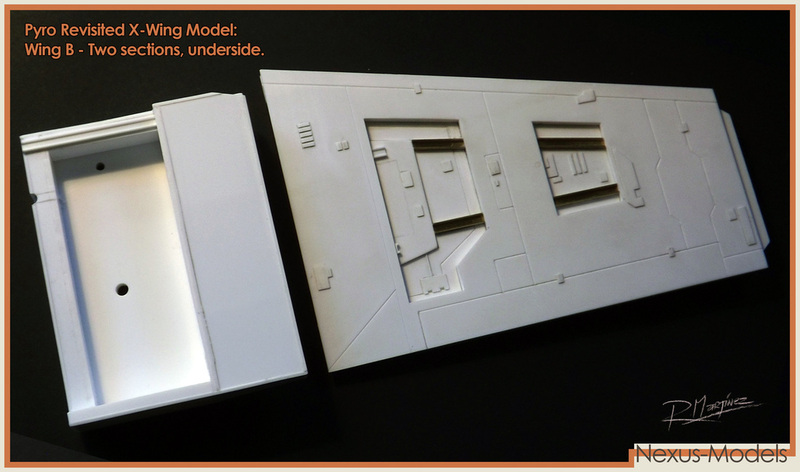 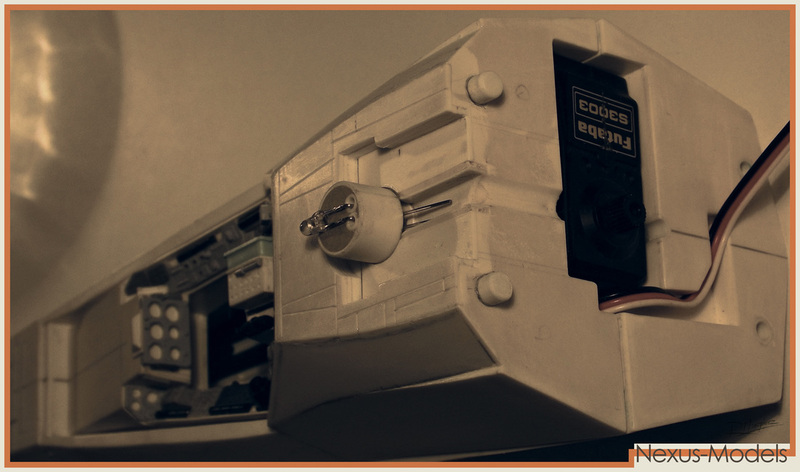 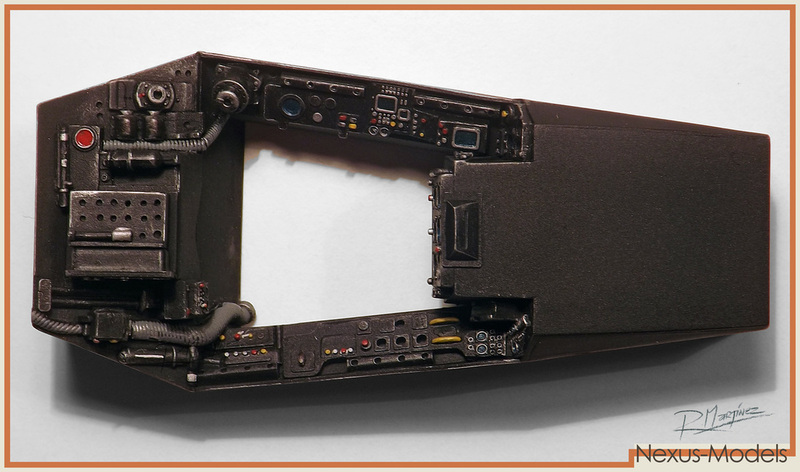 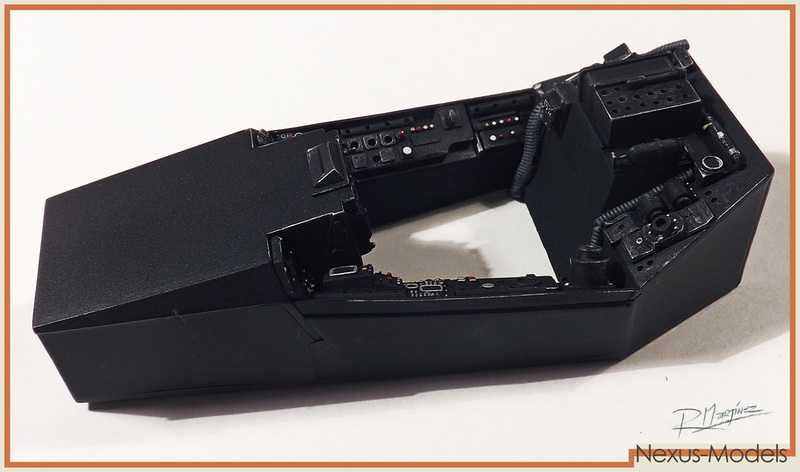 Even though I was not able to collect every kit part used for the original control panel, I tried to use cool parts that were similar to the style of it. 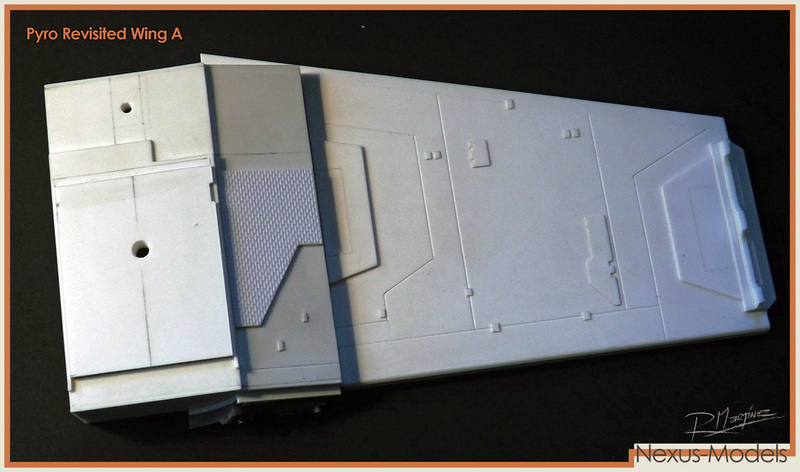 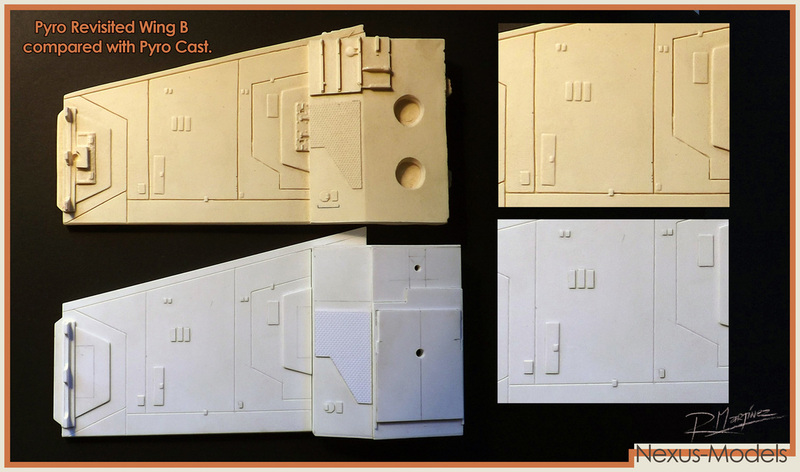 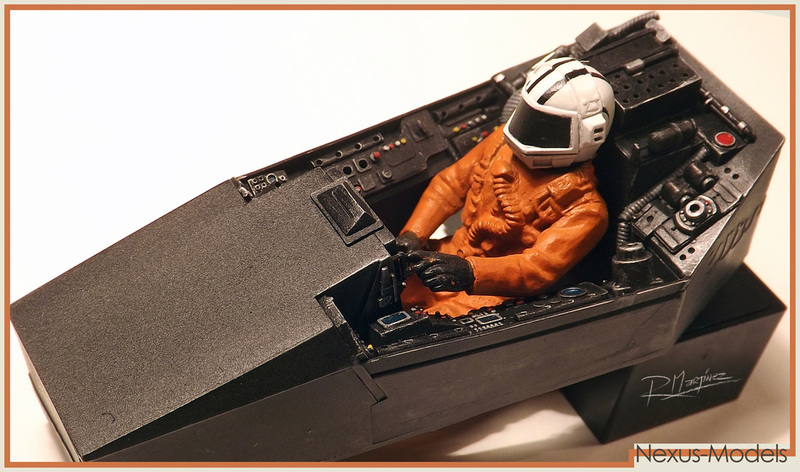 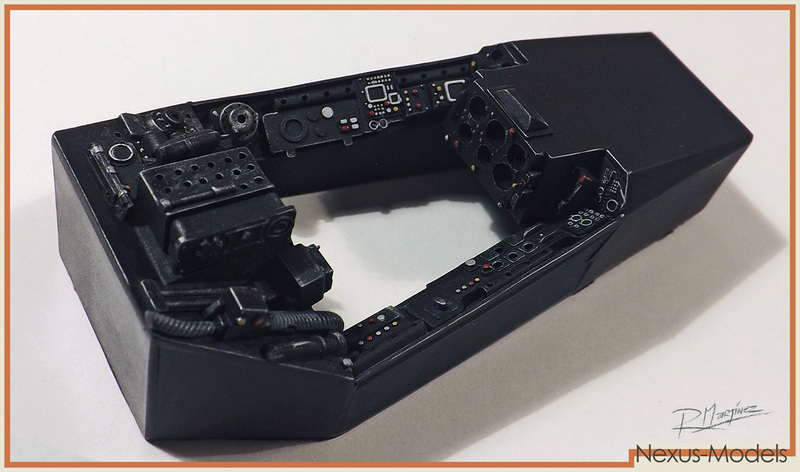 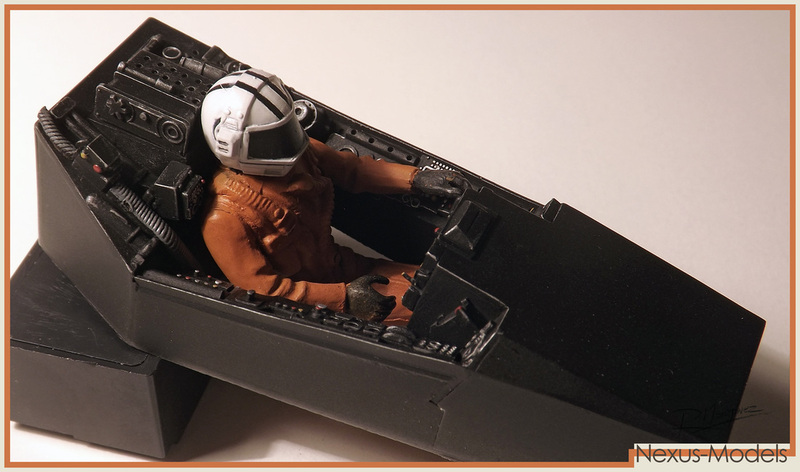 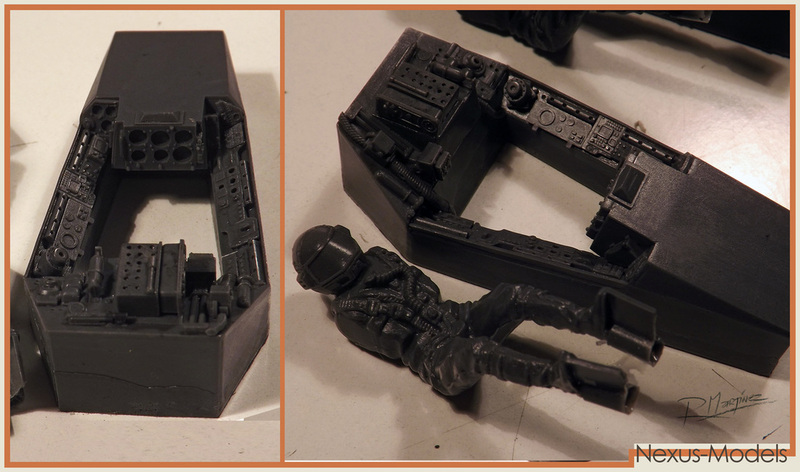 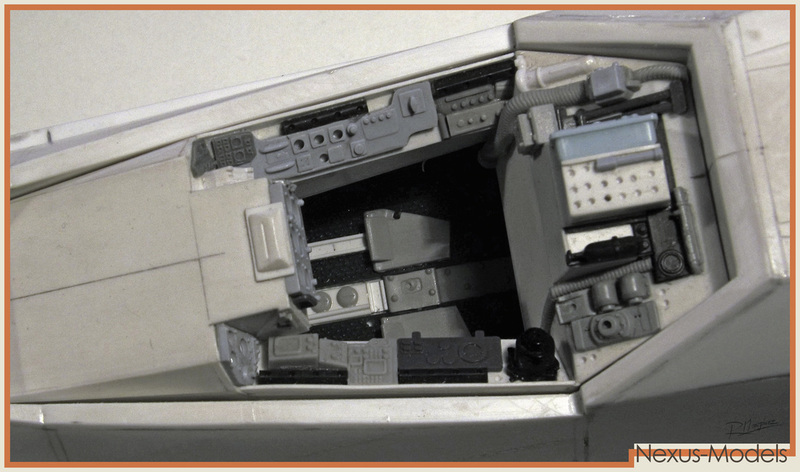 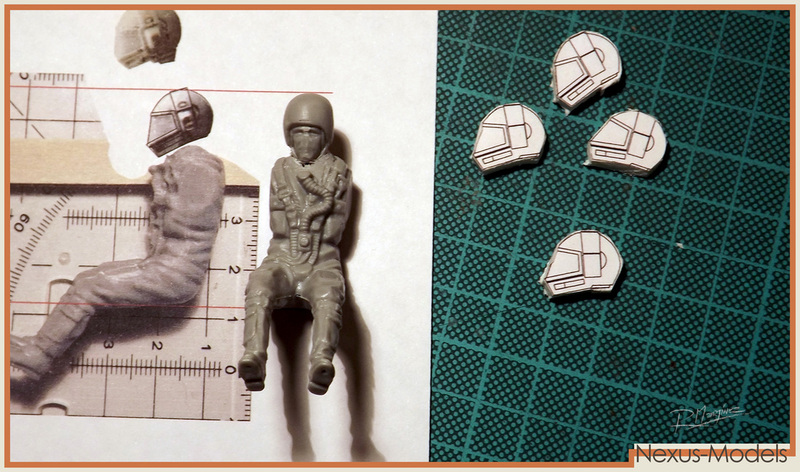 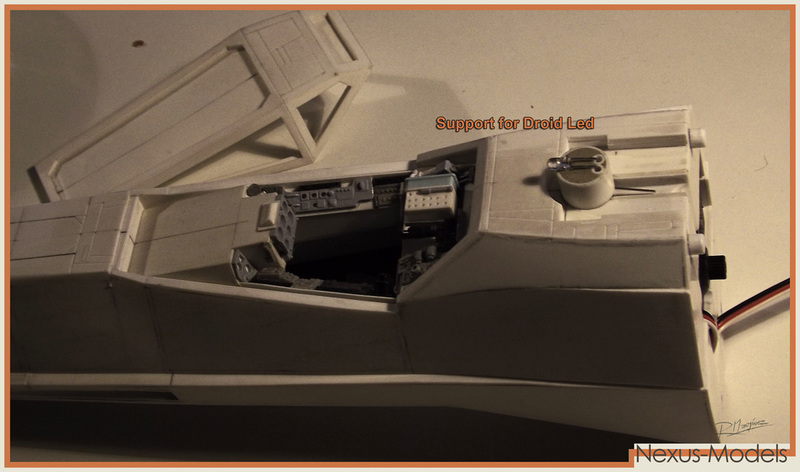 The body used by the ILM crew for the X-Wing and Tie fighter pilots, was taken from a 1/24th scale Harrier model. 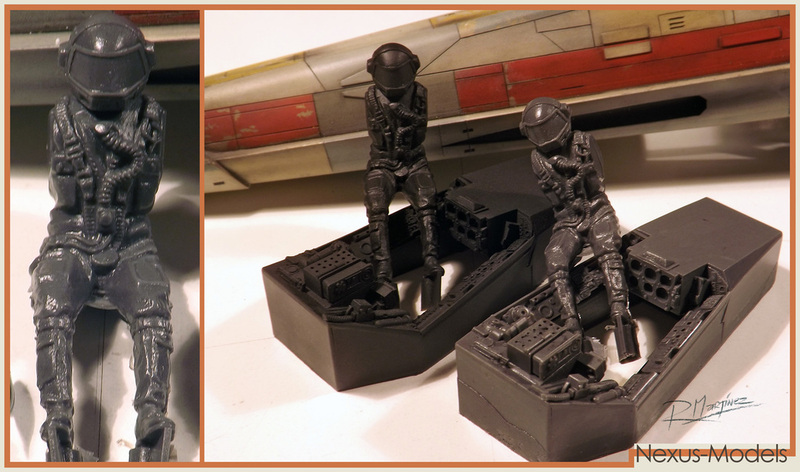 That part was easy, but the helmet was a different story. 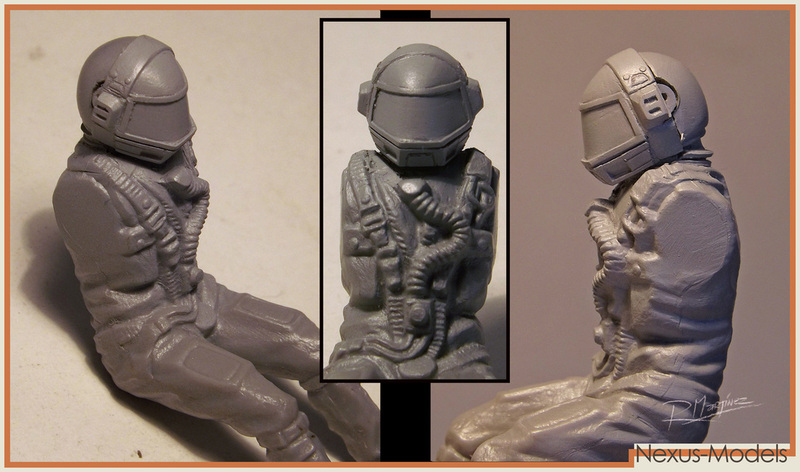 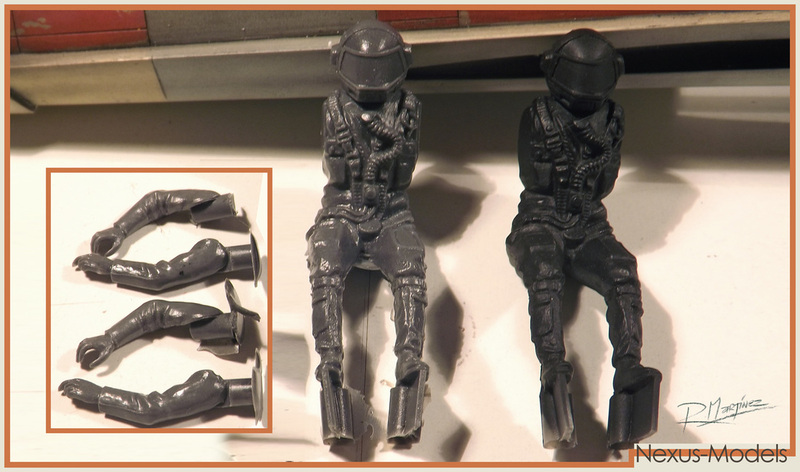 When you take a close look to the very few pictures of the pilot that are available to the public, you can guess that the helmet was sculpted, but that some very small donor parts were used to detail it. 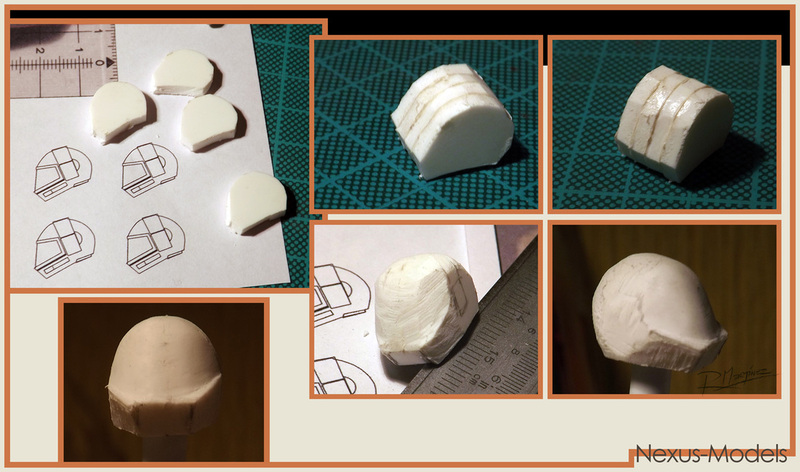 Instead of searching for these parts I decide to sculpt the helmet completely from scratch as I was sure it was going to take ages to guess the donor parts. 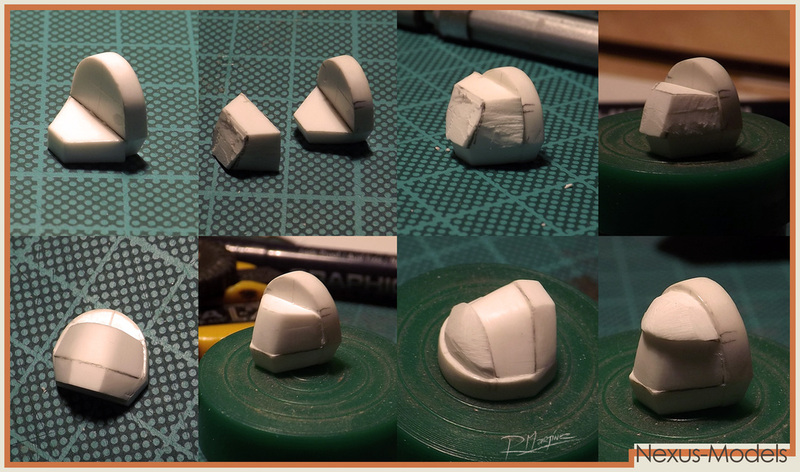 Below you can see some pictures of the sculpting process.